Designed in Denmark by sound industry professionals for the pro audio industry, Bubblebee Industries products are manufactured 'to achieve the best possible sound' with an easy to use form. Available for DPA 4060 series or DPA 4071 lavalier microphones, the biodegradable Lav Concealer is designed to allow the user to mount the microphone to clothing, costumes, or directly onto the body. Manufactured from ‘soft-pliable’, 100% natural rubber with inherent properties that protects the mic capsule from vibration. A wire fabric guard prevents the capsule from touching the fabric of the clothing to prevent unwanted noise resulting in ‘clearer sound recordings’. An included clip allows the user to mount from the front, back and top or bottom. BBI-LC-4060-BK (black), and BBI-LC-4060-WH (white) are single packs compatible with the DPA 4060, 4061, 4062, and 4063 lavalier mics. BBI-LC-4060-6 is a pack of 3x BBI-LC-4060-BK and 3x BBI-LC-4060-WH. BBI-LC-4071-BK (black), and BBI-LC-4071-WH (white) are single packs compatible with the DPA 4071 lavalier mic. BBI-LC-4071-6 is a pack of 3x BBI-LC-4071-BK and 3x BBI-LC-4071-WH. Pack of 6 includes: 3x The LAV Concealer black, 3x The LAV Concealer white, 6x wire clothing clip, 6x wire fabric guard, 36x pieces of The Lav Concealer Tape. 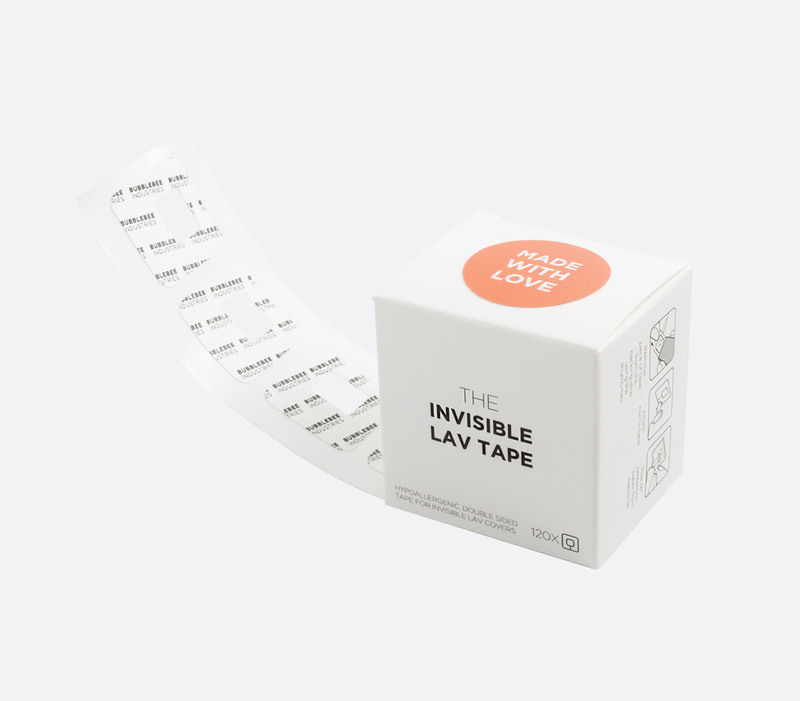 The BBI-LCT-120 double-sided, hypoallergenic tape pieces have been designed to mount The Lav Concealer to either clothing or directly onto the skin. The tape pads can be used when it isn’t possible to use the metal clip of The Lav Concealer to mount. A thumb tab aids application by enabling the user to lift the tape from the backing. The box dispenser allows the user to release the tape pieces individually and ready to adhere to surface. Pack contains 120x Lav Concealer Tape pieces. These 22 x 22mm black fabric pieces have been designed to stick directly on clothing or skin using the included hypoallergenic, double-sided tape mounts with each fabric piece capable of up to four applications. The adhesive tape must be replaced before each application. 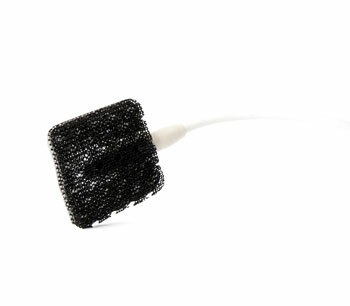 For optimal results the Invisible Lav Cover can be used to position the user’s lavalier microphone under clothing, under a collar, or on the chest, with the fabric piece covering the microphone to prevent any rustling noise. Pack contains 9x reusable fabric pieces, 30x Invisible Lav Tape mounts. Dimensions: 22 x 22mm, fabric piece; 80 x 25 x 17mm (WxHxD), pack. Weight: 10g, including packaging. 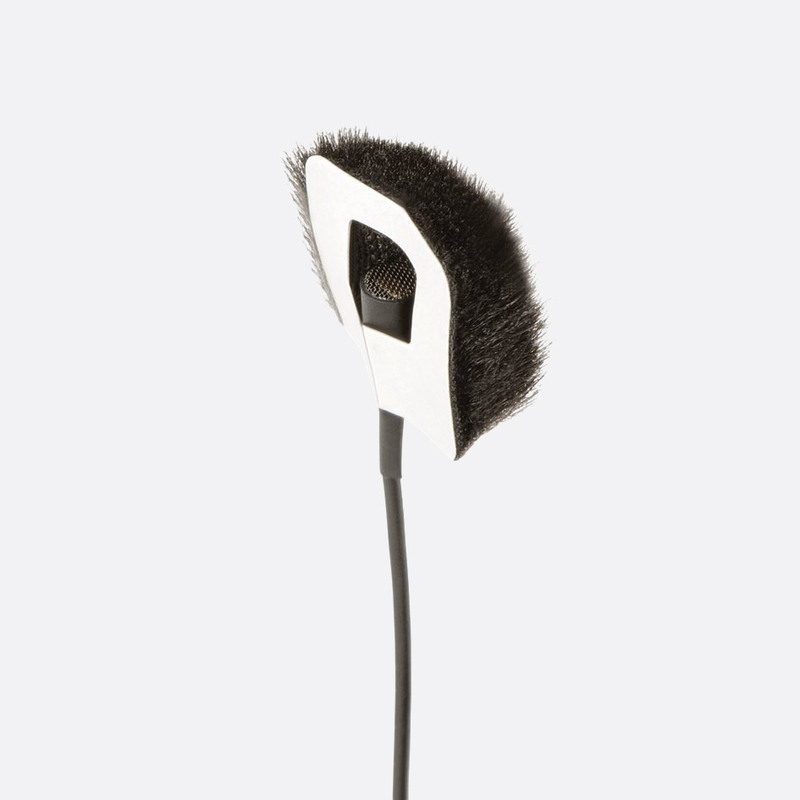 Like the Invisible Lav Covers, the Invisible Lav Covers Fur Outdoor are designed to be used underneath clothing, sticking directly to the clothing or the skin using double-sided tape mounts. These lavalier covers have a dense fur finish that also eliminates wind noise and are therefore applicable for outdoor use as well as indoor. 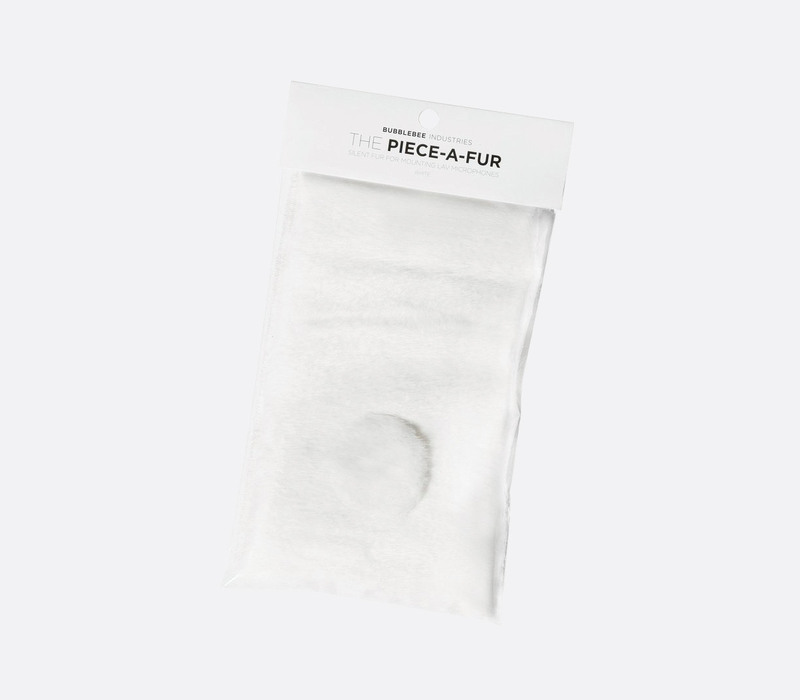 Each fur piece can be used up to four times, however the adhesive tape requires replacing upon every new application. 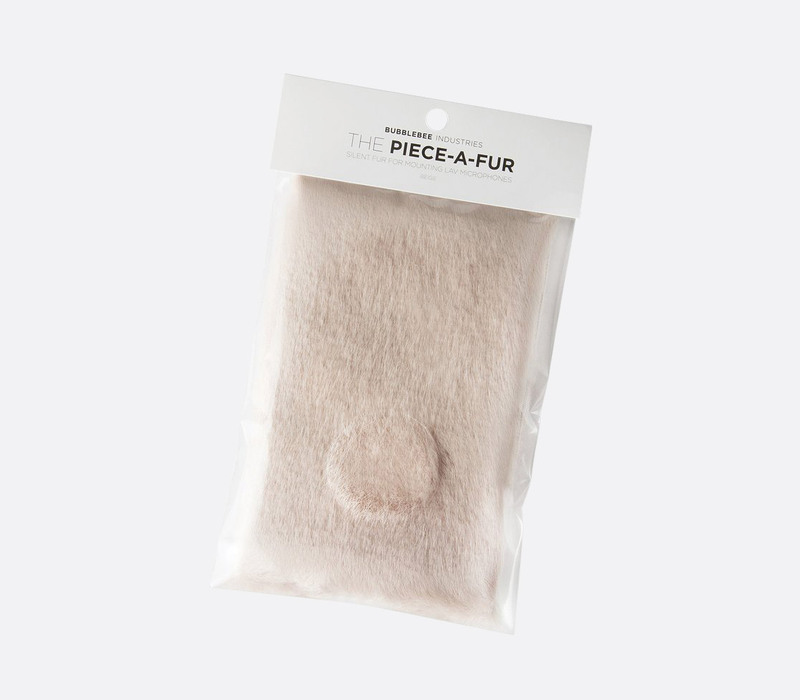 Pack contains 9x reusable fur pieces (3x black, 3x beige, 3x white), 30x Invisible Lav Tape mounts. Designed to be used with the Piece-A-Fur, these 22 x 22mm hypoallergenic, double-sided tape mounts are also compatible with the Invisible Lav Covers and Invisible Lav Covers Fur Outdoor. Pack contains 120x single use double-sided tape mounts. Dimensions: 22 x 22mm. Weight: 20g, including packaging. 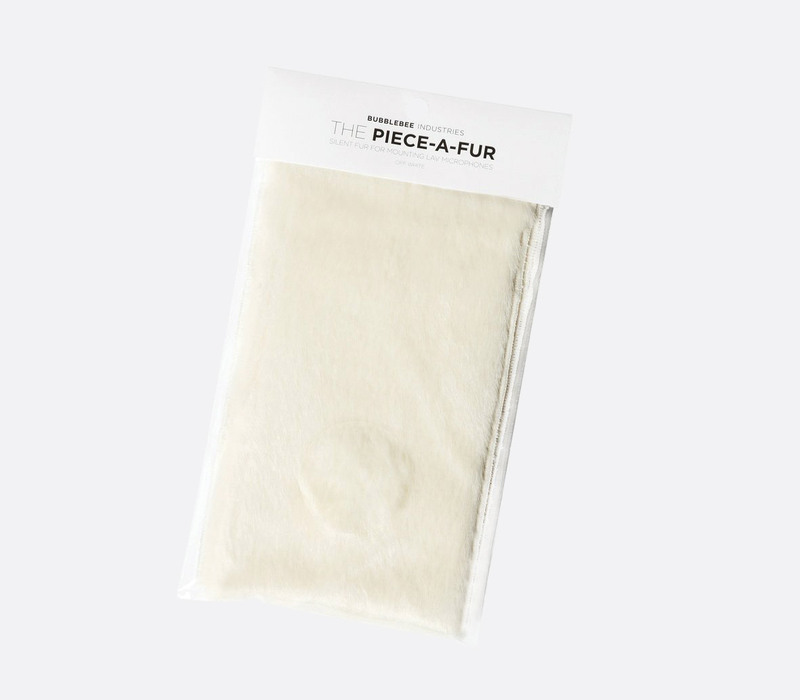 Designed to be using in conjunction with the Invisible Lav Tape, this ‘thick, soft, and durable’ imitation fur is supplied in a large strip, allowing the user to cut pieces to the required dimensions before application. 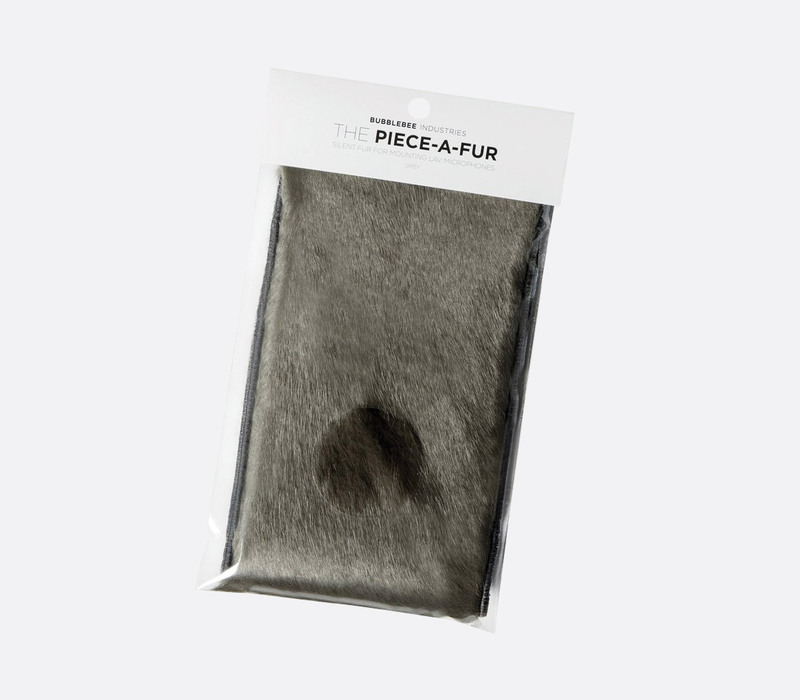 Available in six colours including black, grey, white, off-white, brown, and beige, the Piece-A-Fur can be inconspicuous in placement whilst retaining wind noise reduction properties. Dimensions: 360 x 110mm. Weight: 15g, including packaging.